I have some recorded GPX Tracks from my Garmin Oregon GPS device. 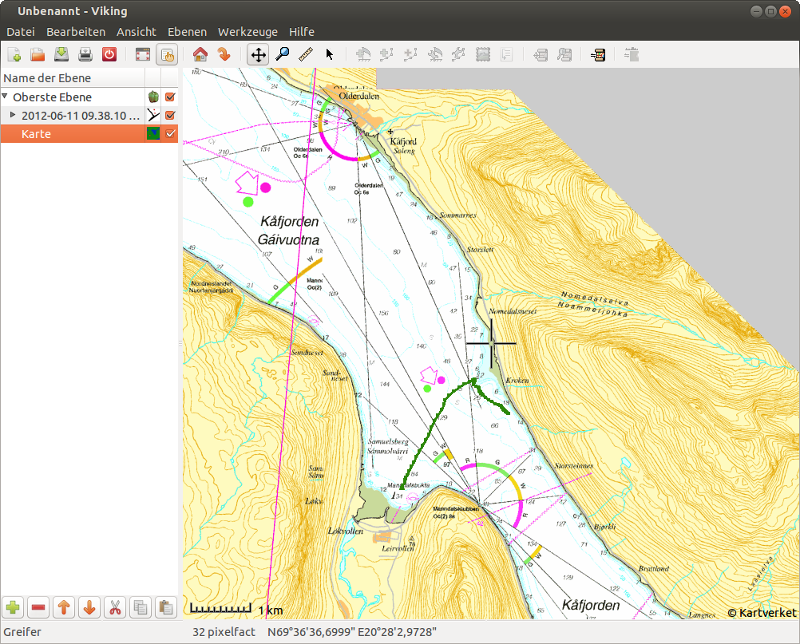 To display and modify this files on my Ubuntu Laptop i found Viking. Make sure you use “&amp;” in the URL! You find a lot of other additional maps on the viking maps wiki page. But don’t forget to replace the simple &-Sign with “&amp;” ! This is sometimes wrong in the object definition on the viking page !